Alot of people know the popular bird of Paradise﻿ with the purple and orange flowers. I have seen alot of large esstablished ones that grow to about 2m tall. 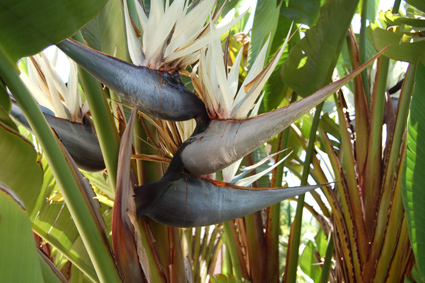 This one is called Strelitzia reginae. One of my favourite Strelitzias are the Strelitzia Nicolai this bird of Paradise has a growth habit more like a palm and can grow up to 6m. The cream and blue flowers stunning (pictured here).